It’s the piece everyone wants anyway, I make a big pan of them so then I have happy people. Divide the chicken legs between two gallon size plastic bags. Prepare the marinade, and divide in half then pour over the chicken. Place in the fridge for at least two hours, or better, six hours. Remove the chicken legs from the marinade and place onto a lined sheet pan. Bake in the oven for about 45 minutes or until the internal temp reads 165 degrees on a digital thermometer. You can boil down the marinade until it’s thick and syrupy and use it as a sauce on the side. P.S. 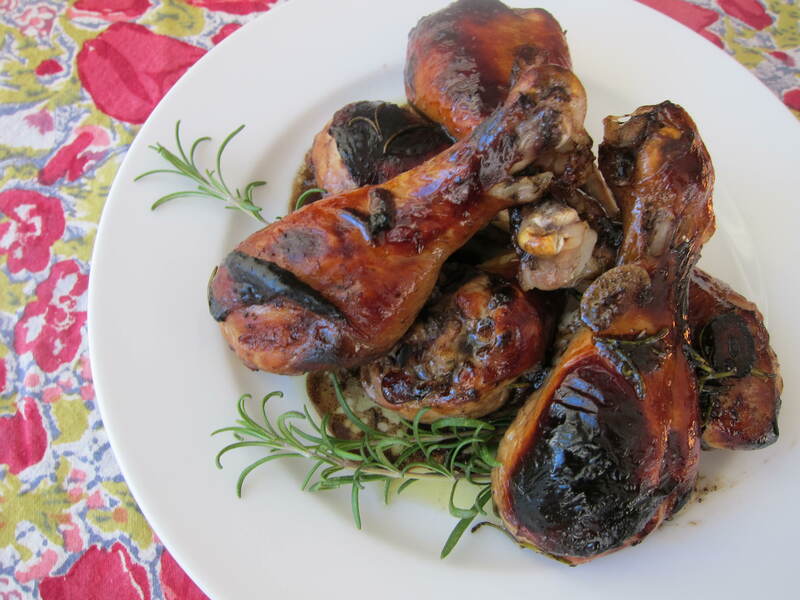 If you have leftovers, this makes for great picnic chicken!